Like many successful ideas, this one started small and gradually expanded until it matured into a successful business strategy. 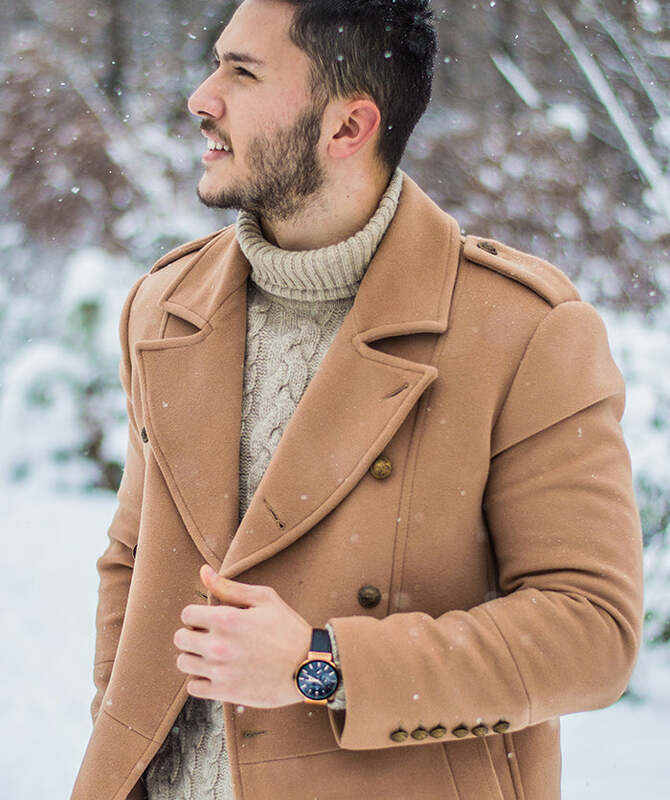 It all started when two Canadian graduates, fresh out of university who shared a strong interest in luxury watches wondered whether it was possible to create a watch that would be a true statement of personality and style but wouldn’t cost a fortune. Before long, this became a mission that required us to follow our imagination and test the limits of technological capacities. We chose to showcase the beauty of steel through our intricate hand craftsmanship as steel signified our own core values of strength, versatility, and practicality. Our brand name was derived by an association to ‘the prince of steel’ Andrew Carnegie, only with a double ‘R’ as a twist, symbolizing our innovative spirit. Basic elements of our brand identity were now in place, and we were prepared to leave the open market in awe with an absolutely stunning timepiece. A timespan of over 12 months was necessary to design a timepiece that we could proudly put our logo on. From the first moment, we reached a quick conclusion that the problem with the current market is oversaturated with similar looking watches and generic designs. Ultimately, we challenged ourselves to offer buyers with a design never seen before. The result is a completely custom design, featuring our multilayered case with our signature integrated lug design made from renowned 316L stainless steel used commonly by famous manufacturers like Omega, Apple, and Audemars Piguet. 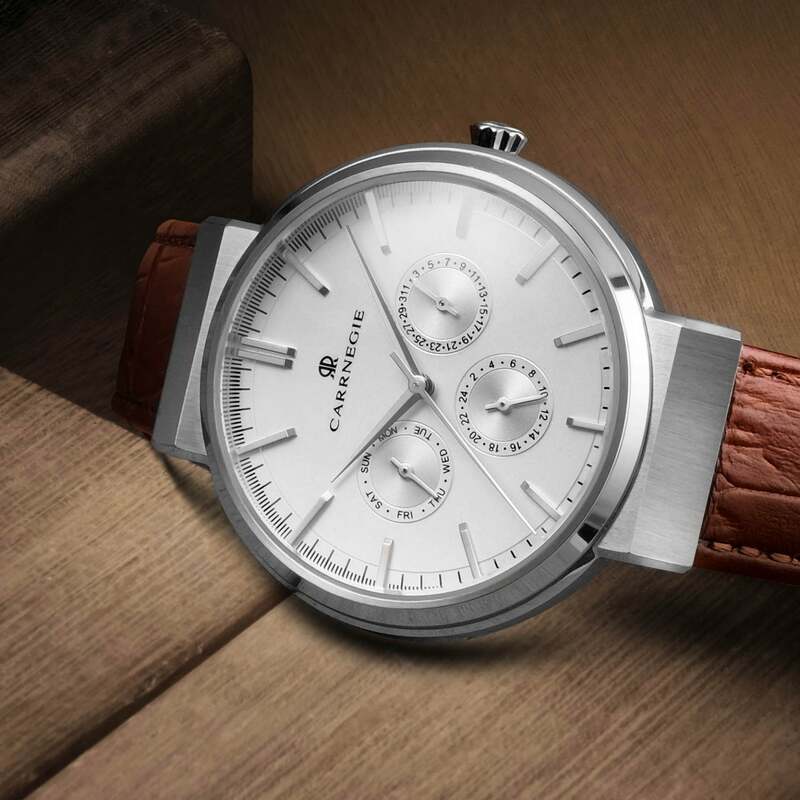 To offer affordability to our customers and to aid the distribution of our design, we chose to avoid the traditional method of selling through retailers and distributors by selling our watches directly to you. The only way to turn our vision into reality was to control the manufacturing and sales process from end to end. It took an in-depth understanding of materials to create our custom multilayered casing, but technical knowledge had to be combined with aesthetic and stylistic considerations at every step. The final result is equal parts visually impressive, comfortable to wear, and practical to use in a wide variety of situations, so we dare to call it our masterpiece – and we invite you to judge it for yourself. The multilayered case features integrated lugs, giving the watch a seamless visual continuity and a look that stands out from the rest. To stand the test of time, our craftsmanship extends to brush and polish finishing to ensure they look sharp and reflective. Second to only diamonds in scratch resistance, this glass protects the dial, ensuring no detail is damaged and enough strength to last a lifetime and beyond. The dial features diamond cut markers and sword shaped hands, each hand polished for the most bold yet elegant aesthetic. When superior technology is combined with exquisite craftsmanship, the outcome leaves nothing more to be desired. 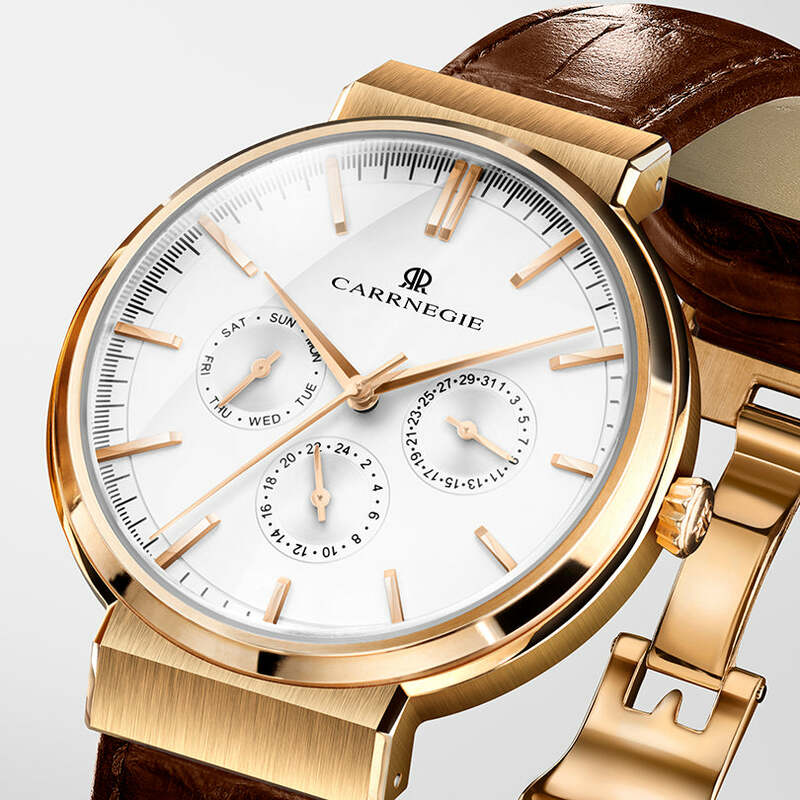 Carrnegie watches owe their excellence and beauty to a large number of individuals who contributed to their final form, from courageous dreamers who first imagined their shapes to dedicated watchmakers who chose the finest materials and supervised the manufacturing process. We refused to stop at half-measures and insisted to have each watch brushed and polished by hand from our integrated lug to the diamond cut markers. Another crucial benefit for our customers is free worldwide shipping, with deliveries organized straight to a specified address. All products are delivered in a premium matte leather box with an extra layer of protective packaging, so there is no risk they might be damaged in transport. The main component of our promise is an amazing value-to-price ratio. We are able to offer better prices by delivering the products directly and avoiding wholesale, marketing and retail costs that traditional companies have to incur that causes them to mark up much more. 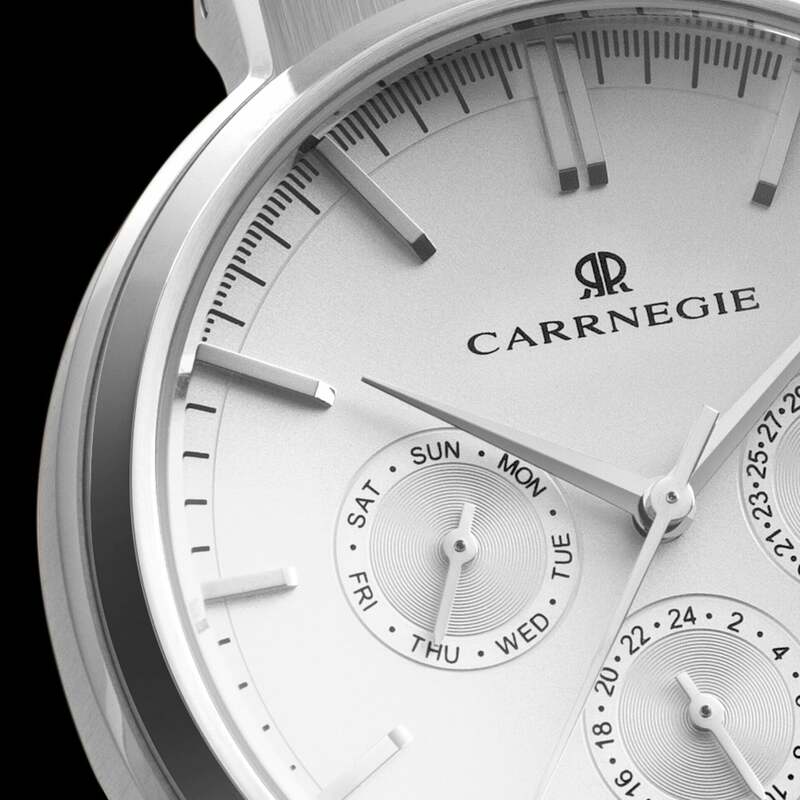 In effect, Carrnegie Watches offers the same level of quality and aesthetic sophistication that you would expect from products that cost several times more. We believe in our product enough to provide our customers with a unique quality guarantee that will protect their peace of mind. It’s very simple – we allow a 30-day trial period with a full refund guarantee, so if the watch fails to meet expectations for whatever reason, the customer gets his money back. Even after the expiry of the 30-day period, a standard 3-year warranty still applies. In effect, our buyers can get a very aesthetically pleasing and unique watch even if they are on a limited budget. Combined with free shipping and industry-best guarantees, this amounts to a truly irresistible offer that could be appealing to a broad range of buyers from all walks of life. We know that our offer is a ‘steal’ and we are determined to demonstrate this fact to the market. Our watches are worn around the world by men and women of all vocations and generations. By getting one of your own, you become a part of a global family of unique individuals who are united in their appreciation for the quality and high style that our brand personifies. In many cases, our customers are influencers who have a huge impact on current trends in fashion. If you feel you deserve a touch of luxury in your life then you might already be sharing our vision. 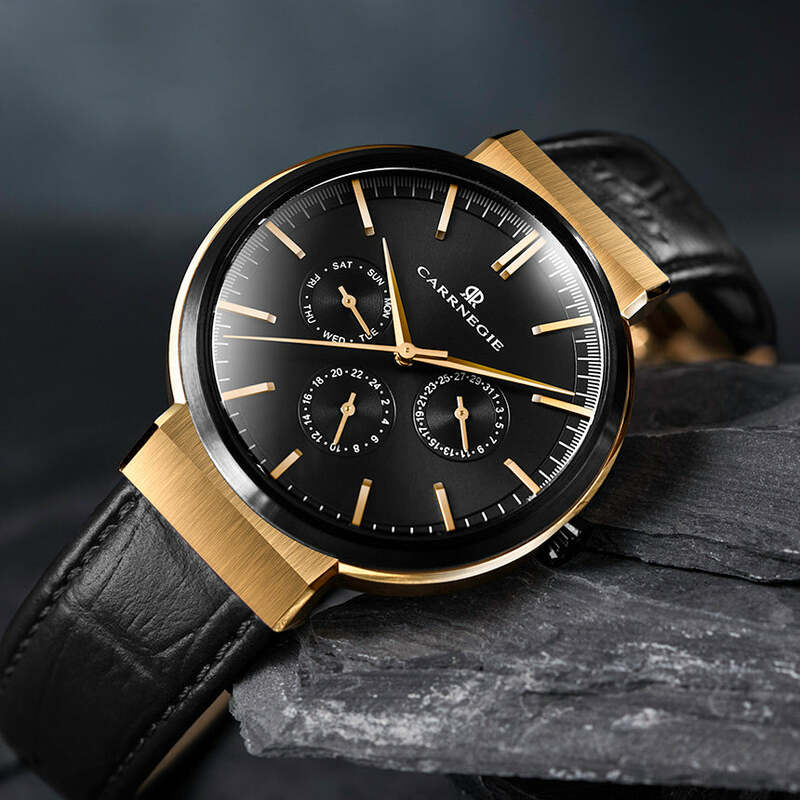 Personalized elegance at an unbelievable price – That is exactly what we at Carrnegie Watches determined to deliver to you.